This is a big step for Volkswagen. Sitting at the top of the mainstream brands, almost perceived as being one of the premium manufacturers alongside Audi, BMW and Mercedes, the brand is almost overwhelmed by the normality of the Golf. It’s tried to transcend to the premium space before with the Phaeton, a technical masterpiece that shared rather more of the Bentley Continental than the British brand might care to admit, but sales were slow. This time Volkswagen has reigned in its ambitions, aiming the new Arteon at a rung or two down the ladder, with the likes of the BMW 4 Series Gran Coupe and Audi A5 Sportback firmly in its sights. The first clue to the more real-world status of the Arteon is its engine. 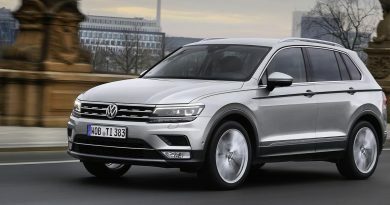 This model has the same 2.0-litre diesel unit that’s fitted to virtually every model across the Volkswagen group. It’s a fine engine, even if 148bhp doesn’t quite sound enough to make moving this near five-metre long luxury car as easy as it could be. Granted, it’s not exactly Bolt-like from a standstill, but once it’s rolling the Arteon covers ground at a pleasing pace. Show it a motorway and it’s arguably unmatched. That engine is near silent at speed, and sips at fuel once on the move – a trip to Stonehenge and back to Cambridge took close to seven hours, but I was left feeling fresh by the end, although that may have been helped by the £535 optional acoustic package fitted to this car. The fuel gauge barely moved on the run though, returning more than 60mpg. Impressive from a car that’s almost as big as a Range Rover. It’s frugality is matched by its ride quality, despite large 18-inch wheels. The suspension is soft, without being too wallowy, absorbing every ridge and bump along the way. It glides from crest to crest on longer frequency undulations, but feels suitably planted. Show it some twisty roads and it protests a little, the sheer size of the car and the lightweight steering encouraging you back to the straight and narrow, but it never feels uncontrolled. The interior is typical volkswagen, and then a little bit more. VW+, if you like. The traditional dials are virtually represented on a 12.3-inch digital display, allowing full customisation and the ability to display Google Earth-based navigation directly in front of the driver. Alongside sits an eight inch touchscreen that covers most functions in the car, from DAB radio, Bluetooth and streaming services to navigation and cabin personalisation. Emergency Assist is a technological tour de force. Constantly monitoring the driver, if the Arteon fails to detect activity should the driver become incapacitated (or just falls asleep) then it shakes the car, flashes lights and sets of buzzers. IF there’s still no response, the car will indicate left, pull off the road and come to a safe stop with the hazard lights flashing. There’s a lot of tech in there, but also a lot of space, which is where the Arteon edges ahead of all of its rivals. Room up front is more than reasonable, as you would expect, but there’s so much in the rear you might struggle to know what to do with it. Certainly it’s more capacious than anything from its fellow German competitors. 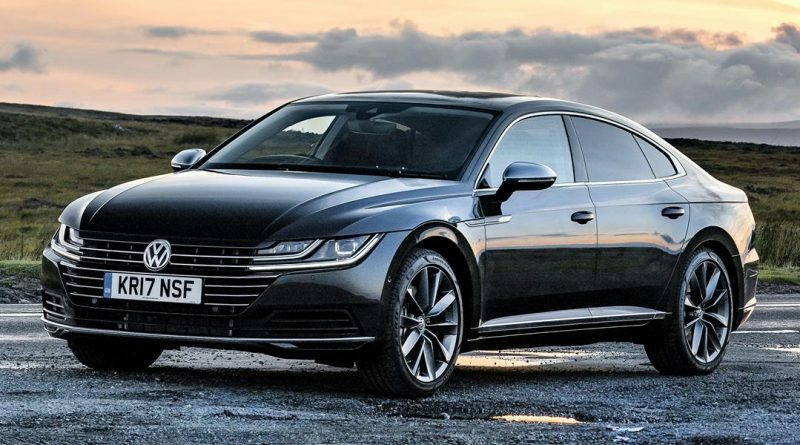 While it’s difficult to find too much to fault in the Arteon, it’s not perfect. There’s predictive cruise control, an incredible bit of technology that reads the road ahead and automatically reduces the cars speed for tighter corners. It works well, especially on flowing country roads, but gets horribly confused on the motorway. Frequently the car assumed it was heading up a slip road and started braking heavily for a roundabout or junction, despite the fact that I was content to carry on at 70mph on the M3. It certainly caused alarm to those following. Sticking with technology, that infotainment screen is clear and responsive, but I mourn the loss of a dedicated volume knob or map zoom button. Small details aside, there’s a lot to like about the Arteon if you’re pounding the roads frequently. It’s comfortable, spacious, economical and loaded with toys, but it’s lack of sprightly performance might put some off. There’s a more powerful 187bhp diesel engine which might suit a few more, but the difference are minor. However, I’d caution against the sportier looking R-Line model. Larger wheels impact the ride quality significantly, and there’s no payback from a more rewarding drive. Keep things sophisticated, stick with the lethargic but lovely diesel engine and the smooth seven-speed automatic gearbox, and you’ll struggle to find a better car to cross the country in.